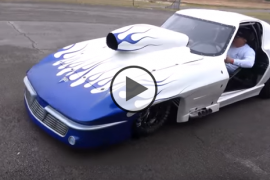 Blown Hemi-Powered Plymouth Makes Some INSANE NOISE! 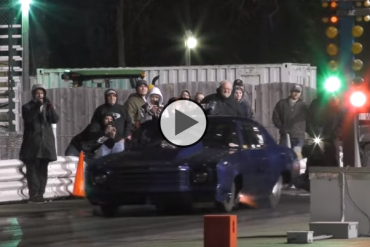 Take a look at this, Blown Hemi-Powered Plymouth Makes Some INSANE NOISE! Today’s video will bring you an amazing Plymouth which is powered by a huge Hemi which relies on a big blower to make sure it has enough air in its lungs in order to make as much power as possible. This incredible street car is capable of pulling the front wheels high off the ground on a hard launch, as it is about to demonstrate and even at idle it gives off that it has tons of power and is capable of some amazing runs. Once you hear that blower surge you know that this aggressive cam is not made of idling, on the contrary it loves some RPM’s and it thrives near the cars redline. So check out this great machine, which might disappoint on the first run due to some issues, but once darkness falls it puts on an amazing show and slams down an amazing run, too bad they did not display the times, we would have loved to see it. 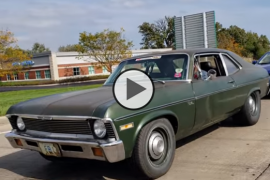 Don’t Mess with this Nova, Ultimate Sleeper Warning! 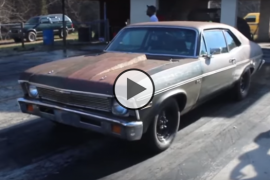 Small Block Rusty Chevy Nova Twin Turbo Sleeper! 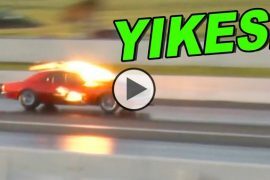 Nitrous Corvette vs Jeff Lutz at the Out of Time No Prep Series!! Previous articleKiller Cab vs Twin Turbo s10 La Vicktoria!!! Next articleIs this the Future King of No Prep!? Street Legal Chevy S10 The Texas Rattlesnake!! Doc Trying to Tame the Street Beast Which is Wild! !